In the past decade there has been considerable interest in targeting the innate immune system in the treatment of autoimmune diseases and sterile inflammation. Receptors of the innate immune system provide the first line of defense against bacterial and viral insults. These receptors recognize bacterial and viral products as well as pro-inflammatory cytokines and thereby initiate a signaling cascade that ultimately results in the up-regulation of inflammatory cytokines such as TNFα, IL6, and interferons. 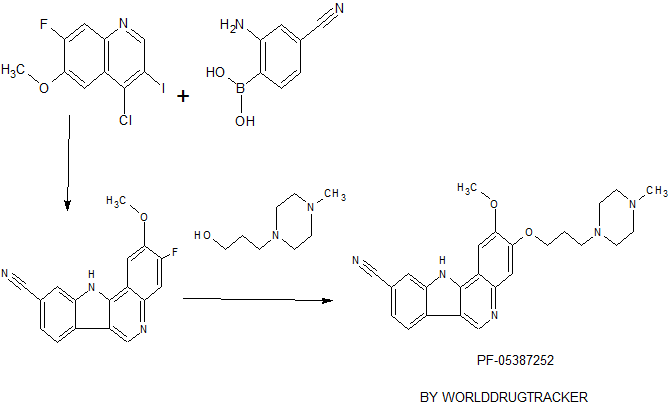 Recently it has become apparent that self-generated ligands such as nucleic acids and products of inflammation such as HMGB1 and Advanced Glycated End-products (AGE) are ligands for Toll-like receptors (TLRs) which are key receptors of the innate immune system. This demonstrates the role of TLRs in the initiation and perpetuation of inflammation due to autoimmunity. However, the immunodeficient phenotype of IRAK4-null individuals is narrowly restricted to challenge by gram positive bacteria, but not gram negative bacteria, viruses or fungi. This gram positive sensitivity also lessens with age implying redundant or compensatory mechanisms for innate immunity in the absence of IRAK4.These data suggest that inhibitors of IRAK4 kinase activity will have therapeutic value in treating cytokine driven autoimmune diseases while having minimal immunosuppressive side effects. 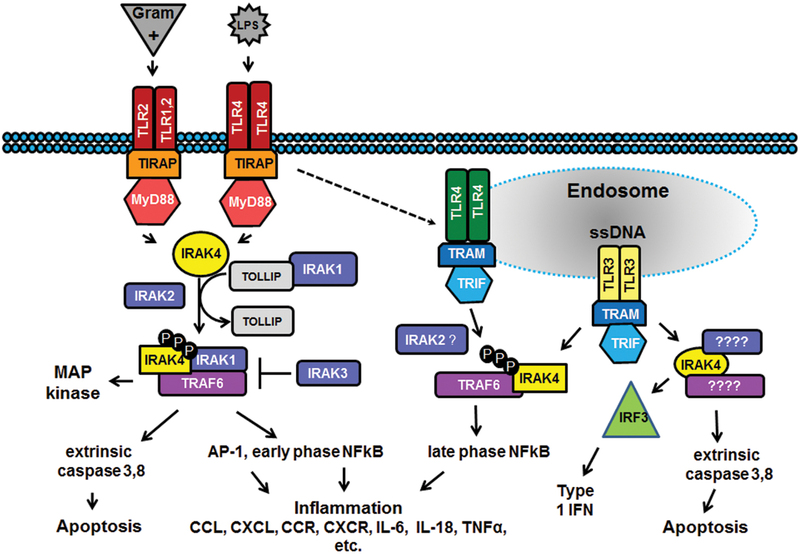 Additional recent studies suggest that targeting IRAK4 may be a viable strategy for the treatment of other inflammatory pathologies such as atherosclerosis. Indeed, the therapeutic potential of IRAK4 inhibitors has been recognized by others within the drug-discovery community as evidenced by the variety of IRAK4 inhibitors have been reported to-date.12, 13, 14, 15 and 16 However, limited data has been published about these compounds and they appear to suffer from a variety of issues such as poor kinase selectivity and poor whole-blood potency that preclude their advancement into the pre-clinical models. To the best of our knowledge, no in vivo studies of IRAK4 inhibitors have been reported to-date in the literature. Herein we report a new class of IRAK4 inhibitors that are shown to recapitulate the phenotype observed in IRAK4 knockout and kinase-dead mice.